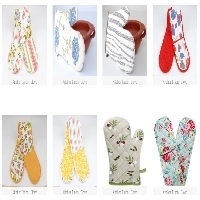 Browse kitchen-gloves suppliers by country and region. The list of Gloves product are included from differnt categories of Yarn, Weaving & printing technologies based on the customer requirements for both Organic and non Organic materials. Yarn Varities : Cotton, Linen, Polyster, Jute, Viscose and blended fibres. Weaving Category: Plain, Dobby, Leno and Jacquard yarn dyed items Printing Methods: Pigment, Reactive, Discharge, Kaddy and Digital prints. Cloth wise - Plain, Twill, Drill, Duck, Weave and Oxford with differnt count and construction. Short on time? Let kitchen-gloves sellers contact you. All the products will be in yarn dyed or printed with the constuction as 2x20s/ 2x 20s - 30 x 34 or as per requirments in 100 % cotton fabrics. Separate or set packing with photo inlayer in pp or pvc bag with ribbon. Industrial use. 12 pairs 600 grm. Table cloths, aprons, tea towels , kitchen towels, kitchen gloves, placemat, runners, cushions, pet beds. Medical & non medical, vinyl gloves, prepowdered & powder free, synmax stretch vinyl gloves, prepowdered & powder free, nitrile gloves, prepowdered & powder free, latex gloves, prepowdered & powder free, non-woven face masks plastic band ear-loops & tie-on long loops. Shijiazhuang Fuhao Plastic Product Co., Ltd. Thin vinyl gloves, vinyl gloves.